Carlton Court has five short stay serviced apartments in London and is in Mayfair in the heart of the city. No expense has been spared in furnishing these in the height of fashion and luxury. The apartments have 24 hour security and concierge service and a 7 day maid service. Staff speak many languages including Russian, Arabic, French, and Japanese, as well as English. The apartments from which to choose can sleep between two and six people, with two x one bed apartments, two x two bed ones, and a three bedroom flat. The beds are king sized and each flat has high speed broadband. Every room has an LCD television with full Sky HD package (CNN, multi-language options, Sky Sports, movies, children’s channels, French, Italian, Indian, Russian and all Arabic channels, to name but a few). There is also an iPod/iPad dock and a music system. There is central air conditioning as London gets hot in the summer, and underfloor heating for the winter. The bathrooms contain power showers, and the kitchens are state-of-the-art and fully fitted including dishwasher, washer, and tumble dryer. There is plenty of cupboard space, and we can supply an extra bed or cot if required. You even get an electronic safe with your own personal code for your valuables. When you first arrive you will have a welcome pack which includes fresh fruit and fresh flowers, drinks, and chocolates, and each morning we provide a breakfast hamper to get your day off to a good start. All of the above is included in the rent, but additionally you have a direct dial telephone for which we provide an itemised bill at the end of your stay if you have made any calls. Carlton Court is conveniently placed for some of the finest shopping in the world including Knightsbridge, Piccadilly, Oxford Street, and Bond Street, all of which are within a few minutes’ walk, as are Hyde Park and Green Park if you feel like some fresh air. 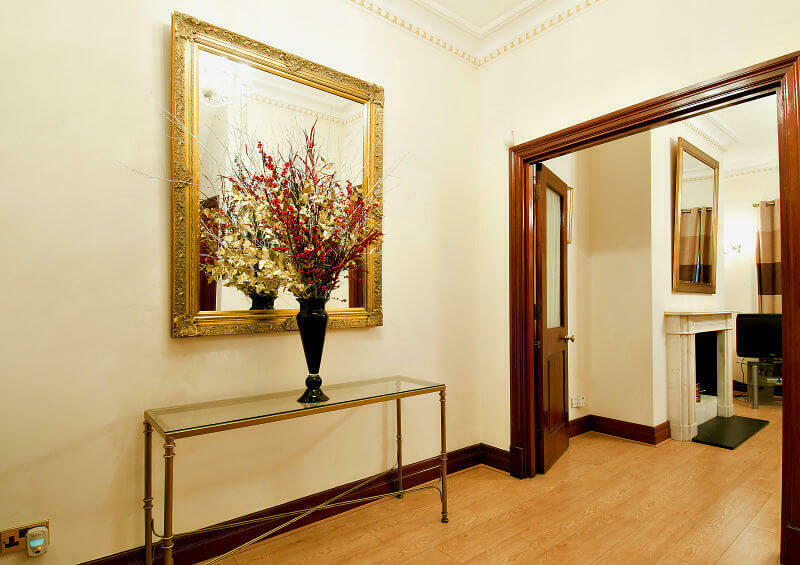 We truly believe that no other apartments in London will provide you with all the amenities you get at Carlton Court.